One billion people around the world engage in some form of digital gaming. Gaming is the most energy-intensive use of personal computers, and the high-performance “racecar” systems built expressly for gaming are the fastest growing type of gaming platform. Large performance-normalized variations in nameplate power ratings for gaming computer components available on today’s market indicate significant potential for energy savings: central processing units vary by 4.3-fold, graphics processing units 5.8-fold, power supply units 1.3-fold, motherboards 5.0-fold, and random access memory (RAM) 139.2-fold. Measured performance of displays varies by 11.5-fold. However, underlying the importance of empirical data, we find that measured peak power requirements are considerably lower than nameplate for most components tested, and by about 50 % for complete systems. Based on actual measurements of five gaming PCs with progressively more efficient component configurations, we estimate the typical gaming computer (including display) to use approximately 1400 kWh/year, which is equivalent to the energy use of ten game consoles, six standard PCs, or three refrigerators. The more intensive user segments could easily consume double this central estimate. While gaming PCs represent only 2.5 % of the global installed PC equipment base, our initial scoping estimate suggests that gaming PCs consumed 75 TWh/year ($10 billion) of electricity globally in 2012 or approximately 20 % of total PC, notebook, and console energy usage. Based on projected changes in the installed base, we estimate that consumption will more than double by the year 2020 if the current rate of equipment sales is unabated and efficiencies are not improved. Although they will represent only 10 % of the installed base of gaming platforms in 2020, relatively high unit energy consumption and high hours of use will result in gaming computers being responsible for 40 % of gaming energy use. Savings of more than 75 % can be achieved via premium efficiency components applied at the time of manufacture or via retrofit, while improving reliability and performance (nearly a doubling of performance per unit of energy). This corresponds to a potential savings of approximately 120 TWh/year or $18 billion/year globally by 2020. A consumer decision-making environment largely devoid of energy information and incentives suggests a need for targeted energy efficiency programs and policies in capturing these benefits. We thank Jon Green, Oliver Kettner, Jon Koomey, Bruce Nordman, Ted Pollak, Brian Strupp, and three anonymous reviewers for their support and constructive comments. Brightman, J. (2013). Console declines delay $100 billion mark for industry to 2019—DFC. Gamesindustry.biz http://www.gamesindustry.biz/articles/2014-10-21-console-decline-delays-usd100-billion-mark-for-industry-to-2019-dfc. Accessed 22 Jan 2015.
Business Wire. (2012). PS gaming hardware market to hit $23.6 billion in 2012 says Jon Peddie research. http://www.businesswire.com/news/home/20120503005394/en/PC-Gaming-Hardware-Market-Hit-23.6-Billion#.VGlNZ0i5Yb0. Accessed 3 Nov 2014. Crijns, K. (2014). Workshop: making your PC as energy efficient as possible. Hardware.info http://us.hardware.info/reviews/5735/2/workshop-making-your-pc-as-energy-efficient-as-possible-our-haswellnsystem. Accessed 15 Dec 2014. Cutress, I. (2014). ASRock Z97 OC formula motherboard review: less Lamborghini, more yellow. “Anandtech.com http://www.anandtech.com/show/8573/asrock-z97-oc-formula-motherboard-review-less-lamborghini-more-yellow/5. Accessed 14 Dec 2014. Forrester Research. (2013). World tablet adoption forecast, 2012 to 2017 (Global). http://techcrunch.com/2013/08/06/forrester-tablets/. Accessed 10 Dec 2014. HardwareCanucks. (2014). Quad-Fire R9 295X2 custom watercooling rig (ExtravaLANza 2014) https://www.youtube.com/watch?v=xjMlkpRz2-A#t=40. Accessed 30 Dec 2014.
International Energy Agency. (2009). Gadgets and gigawatts: policies for energy efficient electronics. 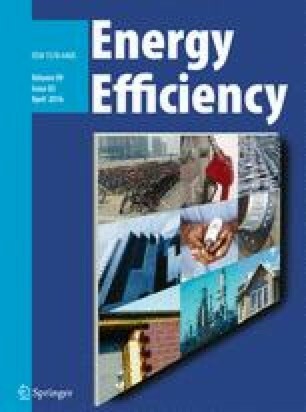 http://www.iea.org/publications/freepublications/publication/gadgets-and-gigawatts-policies-for-energy-efficient-electronics.html. Accessed 20 Nov 2014. JPR. (2014). GPU shipments (MarketWatch) Q2 2014. Jon Peddie Research http://jonpeddie.com/news/comments/gpu-shipments-marketwatch-q2-2014-charts-and-images/. Accessed 10 Nov 2014. Koomey, J.G., Berard, S., Sanchez, M., Wong, H. (2011). Implications of historical trends in the electrical efficiency of computing. IEEE Annals of the History of Computing. 33(3):46–54. doi: 10.1109/MAHC.2010.28. Accessed 21 Feb 2015. PC Gaming Alliance. (2013). PCGA Pinnacle report. https://opengamingalliance.org/press/details/pc-gaming-alliance-releases-two-member-exclusive-reports. Accessed 15 Nov 2014. Pollak, T. (2010). Calculating the total cost of ownership. Jon Peddie Research http://jonpeddie.com/blogs/comments/calculating-the-total-cost-of-ownership1/. Accessed 15 Dec 2014. Ragaza, L.A. (2013). The 10 best gaming desktops. PC Magazine, October 22. http://www.pcmag.com/article2/0,2817,2393552,00.asp. Accessed 7 Nov 2014. Short, J.E. (2013). How much media: report on American consumers, Institute for Communications Technology Management, Marshall School of Business, University of Southern California, 52 pp. http://www.marshall.usc.edu/faculty/centers/ctm/research/how-much-media. Accessed 15 Oct 2014. USEPA. (2010). The Emissions & Generation Resource Integrated Database (eGRID): 2010 Data. http://www.epa.gov/cleanenergy/energy-resources/egrid/. Accessed 17 Jan 2015.